Fit Hose Diameter: 6-12mm(0.24-0.47 inch), 10-16mm(3/8"-5/8"), 14-27mm(1/2" to 1-1/8"), 18-32mm(3/4" to 1-1/4"), 21-44mm(7/8" to 1-3/4"). 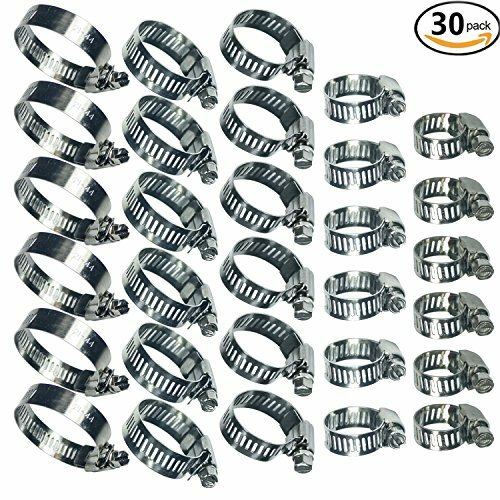 Hose Clamps Width: 6-12mm (8mm), 10-16 mm (8mm), 14-27mm (12mm), 18-32mm (12mm), 21-44mm (12mm). If you have any questions about this product by YongXuan, contact us by completing and submitting the form below. If you are looking for a specif part number, please include it with your message.